“When I first went to Flloyd I was not hopeful. After years of panic attacks during an attempt at public speaking I was at that stage in life where a shrugging acceptance of limitations seemed to be the only way forward. But with an unavoidable public speaking commitment looming like a cliff-edge I had to try something. “I committed to what Flloyd instructed, but with little expectation, except that I would know I had tried my best. “Strangely, after a couple of sessions and the daily ritual of Flloyd’s vocal exercises, I noticed changes. Instead of the thin, pleading middle-tone my voice actually had some substance to it. Still I was wary of confidence rearing it’s ugly head. “As the sessions continued my voice became stronger still. Although the fear of public speaking was still there my brain had other things to consider e.g. Flloyd’s instructions. “I found I could get through public speaking without freezing and without life and death panic. Incredibly I have found my voice, or rather found a confidence to be in voice. All thanks to Flloyd! “Patient, encouraging and a highly effective teacher with great experience and knowledge. I can’t recommend her enough. 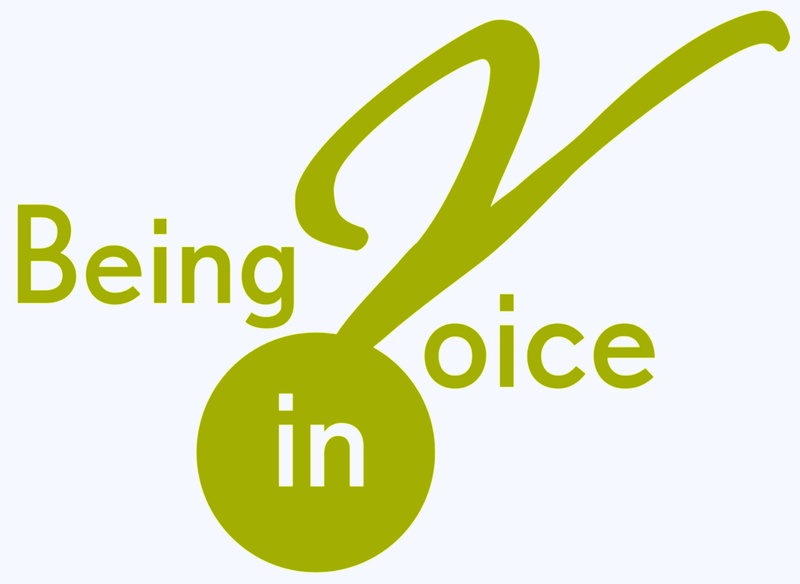 How do you grow your voice? By ensuring your vocal health, so that you can safely develop adequate vocal power and range to suit your expressive and communication purpose. I am now in the process of signing up private and corporate clients here in central Liverpool. Use the contact form to ask me about your vocal ambitions, concerns, and curiosities. Yes, clowns have voices and if you are a clown, and would like to explore some interesting ways to care for your voice, and to grow its potential, this is the workshop for you. But you don’t have to be a clown to take advantage of some of their training techniques. I’ve been training with master clown, Ira Seidenstein (Quantum Clown: Slapstick to Shakespeare, Cirque du Soleil, Slava Snow Show etc) for around 14 years now, and I’ve been experimenting lately with using some of his exercises to help acting students to use their voices more creatively, bringing the joy of spontaneity into the voice class. Venue: 81 Renshaw, 81 Renshaw Street, Liverpool. Picture the scene. You’re at the theatre, in the best seats in the house in the middle of the front row of the grand circle. The curtain opens out from the centre, to reveal a cavernous, enclosed space in which a corps of dancers moves in glorious synchronization. The stage, walls and backdrop ebb and flow to the rhythm of the dancers, expanding as they spread themselves out, rebounding as they lift and flick their bodies against the walls or the ceiling. The dancers move as one body, changing shape and transforming the space in which they perform. The dancers leave the space, the light changes, and suddenly a group of acrobatic tumblers bounce in, tying themselves in knots, forming pyramids that hold their shape for achingly long moments before crashing to the ground and rolling out of sight. They are followed by tall men and women in business suits who perform sequences of everyday gestures that are choreographed to the nth degree, repetitive yet effortlessly shifting and altering the space they inhabit. And always the stage itself, and the mobile, shape-shifting set is part of the performance, enabling the different troupes of dancers to create intricate and diverse images, to build relationships with each other and with the space itself, to tell us stories of wonder and disgust, of terror and beauty, of the ordinariness of lives well-lived and the extraordinariness of all life. Each of these dance productions has a unique choreographic language, a particular way of using human bodies to express the full gamut of human experience. Just think of the difference between a Martha Graham dance routine and one by Bob Fosse, or between Marius Petipa and August Bournonville, or between Stephen Page and Lloyd Newson. Think of the difference between Tap Dogs and the New York City Ballet, between a dance troupe from Cuba and one from Papua New Guinea and ok, I think you get the picture! So, that is my analogy for the dance of the tongue, the complex coordinated movements the tongue undertakes during speech, depending upon the language community within which it acquired its skill. As a classical dancer stands in first position with heels together and toes pointing outwards, while a contemporary dancer stands with the heels together and toes pointing forwards, so each language community has its own starting position inside the mouth, that position of the tongue and the shape created within the oral cavity is what is known as its Oral Posture. From there, the tongue – working together with the muscles of, the face and those within the oral cavity (the velum (soft palate), the pharynx (throat)) – performs its fabulous dance, unique to the community and society of speakers to which it belongs. The tongue comprises multiple sets of muscles, allowing it to change its shape in length, height and width. It can point, spread, bunch and curl in any direction. Speech sounds will vary whenever there is movement of any kind in the tongue. Image courtesy of Eric Armstrong’s website Voice and Speech Source. Clink on the image to go there for more detailed information. Finding each oral posture is a challenge, especially when working with a group of students from a wide range of geographical, cultural and ethnic backgrounds. The language we use to teach speech and accents has to be not only respectful and sensitive, but anatomically accurate. The biggest trap a teacher can fall into is that of assuming that every mouth, every tongue begins from the same starting point. So that if I say, for example, that the tongue sits higher in the mouth for this sound than for that sound, it may well not be so for every student in the class. My favourite dance of the tongue is the dance of all dances, the language of all languages, Omnish, the marvellous invention of the late Dudley Knight (Speaking with Skill: an Introduction to Knight-Thompson Speechworks, Bloomsbury:2012). Omnish contains every sound that has (to date) been discovered by linguists to occur in any language in the world, as a part of meaning-making in a word that language. He also invented Outlandish, which contains every sound that can be made by a human being with a healthy vocal apparatus, but some of those sounds do not – as far as we know – occur in a language somewhere as part of making meaning. A ‘raspberry’, or lip/tongue trill, is just a raspberry in any language, it does not fit into a word anywhere. Moving from the wild expansive and inclusive glory of Omnish to the specificity of particular languages and accents, there is no true dance of the tongue without the scenography within which it occurs. Each accent we undertake to learn requires effort to train the muscles to work in different combinations, with different rhythms and intonations. Ear training is essential of course, and attention to the physicality, the physiology of the new dance makes it possible to achieve consistency, to be able to switch with ease between difference dance styles. Anecdote: A Glaswegian student struggles to hear and to form the /ɪ/ in the word “women”, in so-called Standard Southern English. In her own accent, there is very little difference between the pronunciation of “woman” and “women”. Together we establish that her /ʊ/ and /ɪ/ are both mid-centralised, heading in the direction of the schwa, and once she has a visual reference for the steps of the dances, hers and that of SSE, she begins to hear the difference and feel it in her mouth. She recognizes the contribution her lips make, moving forwards for the /w/, staying there till after the /m/ before relaxing back. Significantly, Scots English, like most of the rhotic Englishes I have encountered, have much more movement in the lip corners than my Australian English has. Because this is just normal to her, she wasn’t aware of any muscular movement there at all. So then we came up with a “woosh-wish” drill, emphasizing the flattening, spreading of the tongue movement between the vowels, rounding the lips by pursing then shifting to what feels like spread to her, but which for me is just a relaxation, because that is what I am accustomed to. Something else I have realized through working on oral posture is that since the head cannot function in isolation of the body, it stands to reason that oral posture is but an element of the overall posture of a people, and the dance of the tongue depends upon the collaboration of every fibre of the speaker’s being. 1)	First and foremost, it serves to remind students that if they only ever exercise their tongues, jaws and faces to perform the dance of their own language and accent, they will forever find it challenging to accommodate another form of dance with consistent grace. 2)	Since actors aspire to be versatile, able to perform characters from vastly different cultures and social backgrounds to their own, they need to exercise their minds, their belief systems AND their bodies, which includes the muscles they use to shape their vocal sound into language, to be extremely flexible and adaptable. 4)	It enables them to bounce up a few gears when they come to perform their monologues. If they begin by performing their text IN OMNISH – obviously not a word by word translation, but an improvised version of what their character needs to express – and then switch to the English version whenever they like, the result is a dynamic, physically engaged, vocally powerful and clear articulation of the text. Another anecdote: some students asked permission to work on their monologues (extracts from political speeches) out of doors, as they are also working on street theatre projects. So we went to a local park, after a jolly good warm up, including some work on calling (which I allow them to call Fake shouting, because they are desperate to learn how to shout safely), and Omnish. The first student began, and we could just hear his light voice from about 40 feet away. Then I asked him to begin in Omnish, which he did, full voiced and richly resonated. As soon as he switched to English, all that beautiful energy was retained, he found he was speaking TO us, rather than AT us, we heard his voice, his words, his passion and we were persuaded. If you register on the website, you can also ask me any question you like with regard to the voice. Here’s one that popped up yesterday. I thought I’d create a podcast, rather than write it down. Do let me know what you think. The discerning listener will notice that I sound a bit scratchy at times, without access to my normal range. What you are hearing is my ‘morning voice’, the one I wake up with and haven’t warmed up. It is a sad fact that the older you get, the more you need to warm up! Please – do as I say, and not as I do.